The Proclamation of King George V in 1910. Note that the High Street is not tarred. 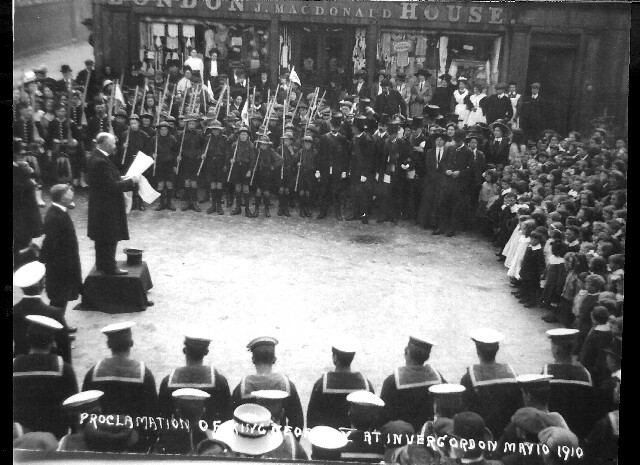 The person reading the proclamation is likely my grandfather, John Macdonald of Seaview. The fountain (now at the West End) was originally erected at this site to mark the occasion.